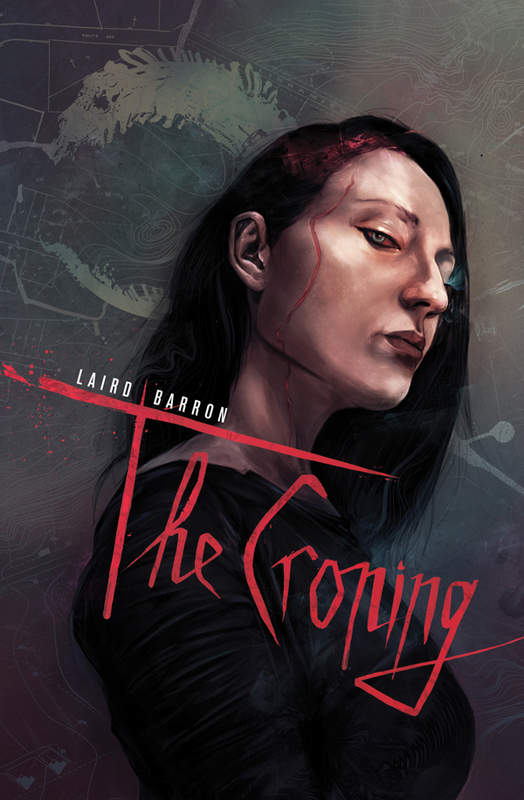 The Croning by Laird Barron (Night Shade Books, 2012) starts off with a gem in its own right. Although it’s only the first chapter, it could be a free-standing short story retelling the Rumpelstiltskin myth with such verve and inventiveness, you want it to continue. Except you’re then abruptly moved forward in time to 1958 when Donald Miller and his wife Michelle, née Mock, go on a trip to Mexico City courtesy of Louis Plimpton, one of his wife’s colleagues. When his wife goes missing, Don tries to find her and is almost killed in weird circumstances he finds very difficult to recall. In 1980 agents, certainly government and possibly FBI or an early version of the NSA, are present at the death of a Person of Interest at Wenatchee, one Louis Plimptom. We then jump up-to-date with Don and Michelle into their retirement years although she stays more active, going off on trips every now and then. They live quietly in the Waddell Valley, possibly close to the The Sanguine Stone. So, the book hits the ground running and then slows to a walking pace before taking off again. Now here’s the thing about families. Most of this happy couple’s relatives are either missing in action or sufficiently weird there’s no regular contact with them. Don has spent a lifetime as a geologist, both commercial and academic, and, not surprisingly, was an active spelunker when young. Michelle acted the part of a mainstream scientist, but was actually obsessed with the idea there are little people who live underground — as I recall, the fairy story reports Rumpelstiltskin was of small stature. Now, apart from trips with friends, Michelle largely restricts herself to the investigation of her family tree. The early Mocks, particularly the women, seem to fascinate her. Strangely, their son is prone to sleepwalking and has been found in odd places around the house and outhouses. He may also have memory lapses, and had a strange supernatural experience during a séance when a teen. But that’s new history. Going back to our happy couple, the common denominator who brought them together in the 1950s was Professor Plimpton. He worked at the university they attended. When they eloped to marry, he let them use his farmhouse in Wenatchee. Indeed, he was the main driving force behind much of Michelle’s early work. That’s why they were saddened by the news of his death in 1980 and attended his funeral. Later that day, they went on to the Wolverton Mansion, perched high on a cliff overlooking a forest, for the wake. But Don’s memory of that evening and what he heard about the relationship between his grandfather, father and an unrelated young man vaguely connected to the Mock family somehow slipped his mind. Indeed, a lot of things have disappeared from his mind and only some of them have later returned. This marks the nature of the narrative. As with all good unreliable narrators, the ageing Don is increasingly aware of just how much he might have forgotten. Obviously, by virtue of the memory losses, he doesn’t know how significant these gaps may be. But there are times when odd snippets surface. Indeed, in itself, the re-emergence of memories is strange. If his brain forgets certain events so completely, why should there be moments when he remembers odd events? Perhaps it’s all part of some cosmic plan. Yet what possible role could a mere mortal like Don play if other worldly forces are involved? Such is the underlying mystery as we slowly begin to see how the pieces in the jigsaw fit together. 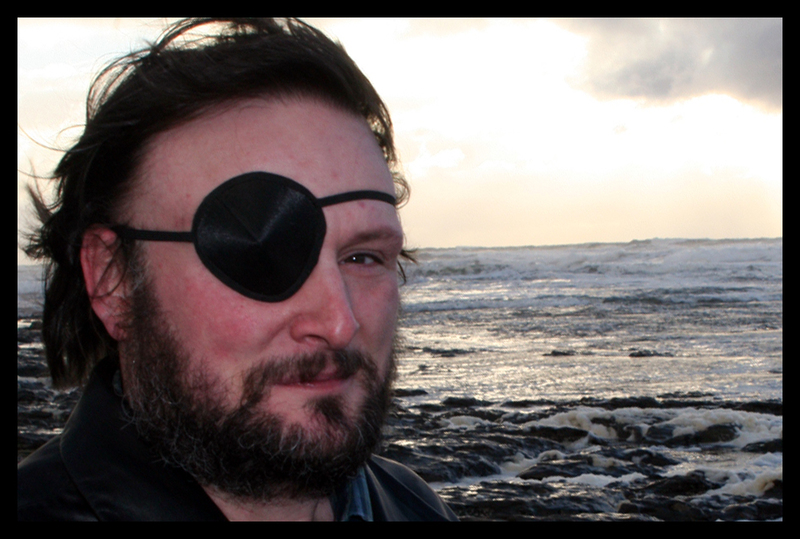 In this, Laird Barron is building on “Mysterium Tremendum” in which four men find a copy of The Black Guide. This small travel guide suggests there’s a dolmen somewhere in the foothills of Mystery Mountain out on the Olympic Peninsula. Their trip into the forest to find it proves challenging. So, Don’s life may somehow be set on a trajectory that will also bring him to Mystery Mountain. Planning such a life journey would require an ability to transcend time and exercise considerable influence over human affairs. To get a better understanding of this scenario, think about the fiction of Arthur Machen who warns against lifting the veil to reveal forbidden mysteries. He, more than any other author of his time, was fascinated by the relationship between specific places and the mind, suggesting that sensitive people might connect with otherness by being the lonely figure on a landscape or, in our case, a cave system. In this, he was expanding on the idea of genius loci, the religious concept from Ancient Rome, in which numinous spirits interact with the mind. H. P. Lovecraft recognised his debt to Arthur Machen in developing the Cthulhu Mythos and, others following in Lovecraft’s footsteps have built on the supposed power of a place to produce a link between a human mind and different orders of being. Laird Barron is one of the best of the writers currently exploring how this traditional cosmic environment can be developed to make the fiction more appealing to our modern sensibilities. He’s Lovecraftian in the general sense of the word, but he increasingly blends old-fashioned weird with Mythos tropes in modern settings to produce a different perspective from which to view old gods and monsters. The Croning, his first novel, sees him invest significant effort in Don, a character with whom we can readily empathise as he tries to reconstruct his memories and so find peace of mind. Then we have the detail of the family backgrounds and the careful structuring of the story to move us around in time. Once we have all the relevant information in our hands, it’s mounting dread as we accelerate towards the final revelations. Anyone even vaguely interested in cosmic horror with Lovecraftian overtones should read this. It’s beautifully paced and wonderfully innovative. For a review of the collection containing “Mysterium Tremendum” see Occultation. His third collection is called The Beautiful Thing That Awaits Us All. There’s also a short novel called The Light is the Darkness.